Even if our chateaux are a few centuries old, you can now discover them in a modern way! 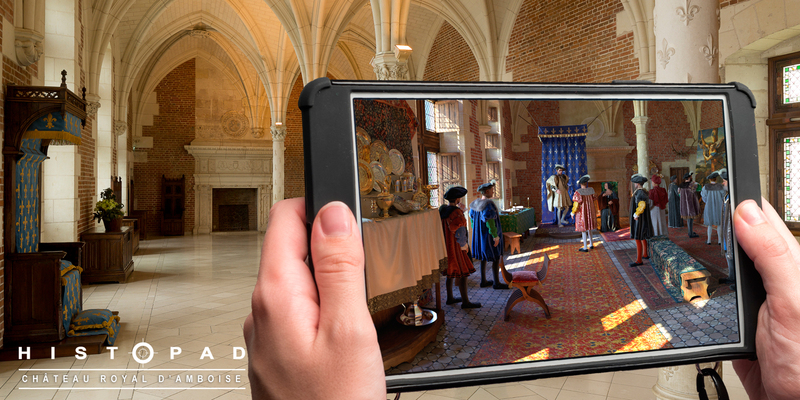 This is the reason why the latest technological innovations were chosen for the royal city in Loches and the royal chateau in Amboise giving the possibility to test and enjoy a visit in virtual reality with the HistoPad. Soon available at the Royal fortress in Chinon. Upon your arrival, you will be given a digital tablet preset to the HistoPad. You will start your journey through time and will be immersed in the history of the site thanks to 3D views and virtual scenes. You will discover the original furnishings and decor of the place, see the reconstitution of former room, and the historical characters come to life… In short, our chateaux have entered a new dimension! Tablet in hand, visitor will discover the buildings having long disappeared as well as the many changes, which have occurred on the “logis royal” through time. Thanks to the HistoPad, you will be able to admire the works of art that originally belonged to the Royal Château of Amboise which are now kept in museums all over the world. Bringing life to what was once gone is the real “Showstopper”, a must see! It is also a way to highlight some kings or other historical characters as well as interesting details nobody had paid attention for before. … and more precisely to the dungeon! There are 10 rooms or scenes to discover in their original state (from the 11th to the 15th century) with the help of the HistoPad. You will have the privilege to see the dungeon when it was under siege in 1205, when King Philippe-Auguste of France fought John Lackland, King of England. The HistoPad is also a way to make History alive and have some fun during a cultural visit. An option has especially been created for children. 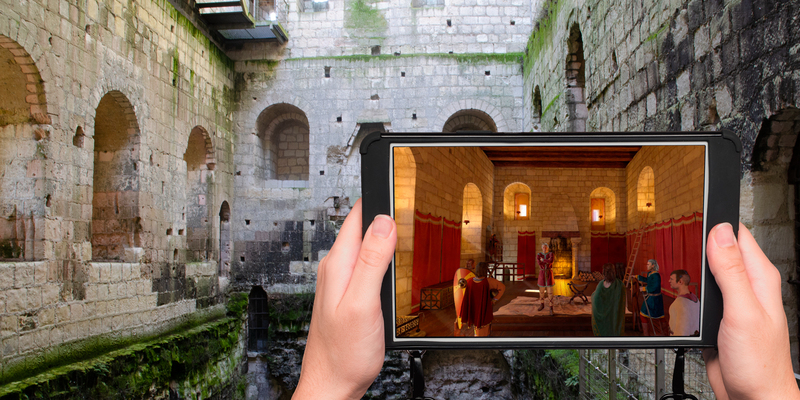 They are invited to find treasures hidden among the virtual decor of the Royal City of Loches.